In my post yesterday I suggested that Jani Brajkovic of the Radio Shack cycling squad had improved his fitness as a result of his weeklong effort in winning the Criterium du Dauphine stage race a couple of weeks ago. This is a common benefit of an extended, high-workload period of training which I call a "crash" block. A seven-day stage race is, for all intents and purposes, a hard period of training. So is there any proof that he has improved his fitness other than his reported sensation of feeling like he's "riding with a tail wind all the time"? It appears there is. I noticed in his tweet today that he has improved his CP5 (highest average max power output for 5 minutes) by 40 watts since the race. That's huge and probably on the order of a 7-10% increase (I don't know his power metrics). I would expect to see something in the range of 3-5% after a week of very intense crash training followed by several days of rest. I consider CP5 to be one of the best predictors of performance in a bicycle road race. That's because the outcomes of road races are typically determined by two- to three-minute episodes in the which the key players work at or about their CP5 power. This is usually breakaways on hills or in crosswinds, or in the lead outs for sprinters. Don't expect CP5 to improve just because you do a lot of miles on the bike during a crash block. It takes a great deal of high-intensity training at CP5 to see the sort of results Brajkovic is experiencing. He had many such opportunities with Alberto Contador trying get away, especially on the climb up Alpe d'Huez. It will be interesting to see how Jani does in the Tour de France which starts this weekend. This is a quote from Team Radio Shack cyclist Jani Brajkovic that he posted to his Twitter account on June 19, one week after winning the Critérium du Dauphiné. I believe what he was saying was that he was starting to feel very strong on the bike. Having raced hard for seven days at the Dauphiné (totaling 672 miles/1080km with a winning cumulative time of 28 hours, 6 minutes and 28 seconds) and then rested with easy training for a week, he was experiencing “supercompensation.” I wrote about this phenomenon in The Cylist's Training Bible, The Triathlete’s Training Bible and The Mountain Biker’s Training Bible. In those books I called this short block of extreme overloading “crash” training. Basically, it involves training hard for several consecutive days and then backing off to rest for a few more days. At the end of this block of training athletes often experience great fitness and form which makes them feel very strong (like having a “tailwind all the time”). But be aware that while very effective it is a dangerous way to train since it requires working out a rate that should soon lead to an overtraining syndrome occurring. For some athletes that may happen within a week. Others will go two or even three weeks before becoming overtrained. So it should be done with great caution. A full-blown overtraining syndrome will ruin your entire season. Following the hard-training portion of the block the next step is to cut way back on training for several days. The harder the hard portion, the longer the recovery part of the block. Generally, I think it’s good to take one-half to one full-day of recovery training for every hard training day in a crash block. So if you maxed out in a seven-day stage race as Jani did then you may need at least three and possibly seven days of easy training. These easy days should be much shorter than the longest workouts that preceded the recovery portion. And they should be mostly zones 1 and 2. One or more days totally off is often beneficial, also. This fall - October 22-29, 2010 - I'm presenting a triathlon camp in Scottsdale, Arizona where I spend my winters. This is not your standard swim-bike-run camp. It focuses on exactly what I do with the athletes I coach at the start of their winter training. I have each of them come to Scottsdale to spend a few days with me. During this 'personal camp' there are five things we do. Each athlete is tested for VO2max and other important physiological metrics. Each also has a physical assessment by a physical therapist who looks for potential injuries and areas where strength, range of motion or other interventions could improve performance. I also have a bike fit done for them by a professonal fitter. We work on their speed skills in all three sports using video analysis. And finally we spend a lot of time discussing the keys to their success in the coming season. This last point typically involves mental skills, nutrition, understanding the training program they will follow and much more. By the time the camp is done I always feel as if we are a great deal closer to achieving the athlete's goals. I think you'll feel that way, also. Scottsdale in late October is beautiful. Temperatures are typically in the 70s and 80s (20-30C) with gentle breezes and blue skies. You'll say at a local resort. We haven't got the website up and running yet, but I wanted to give you a heads up. Due to the intense nature of this camp it will be strictly limited to 20 triathletes. Watch for details to be coming soon. With about three weeks to go until race day you start the Peak block of training which lasts two weeks. There are three things you must do in the Peak block if you are to come into good form for the race. The first is to reduce the duration of your workouts. For the next two weeks, each hard workout should be shorter than the previous one. The second is to do a race-like workout every third day. These are hard workouts that simulate some portion of your A-priority race. And the third is to allow two days to recover between the race-like sessions. This is the key to success now. These recovery workouts should not be taken lightly. 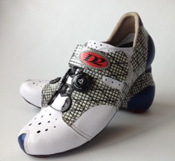 If you make these too hard the quality of your next race-like workout is compromised. This is the most common mistake I see athletes make when peaking. These recovery sessions should be primarily zone 1 effort, heart rate, power or pace. There may be a few cumulative minutes of zone 2, but these should be brief incursions lasting no longer than a couple of minutes at a time. Strictly avoid zones 3 and higher. You should feel guilty about going so slow. People will pass you. That’s ok. Your purpose is only recovery; you are not trying to boost race fitness on these days. If you make the hard workouts progressively shorter while taking two days to recover between them the quality of the hard workouts will be high. This will bring you to a peak of race-readiness. 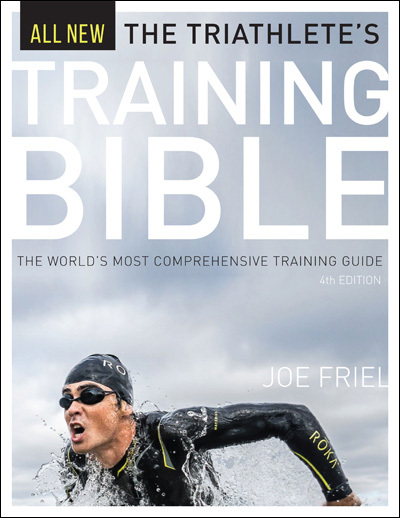 The Peak block is explained in much greater detail in my books – The Triathlete’s Training Bible, The Cyclist’s Training Bible and The Mountain Biker’s Training Bible. A student doing a project for a sports nutrition class asked me to record what I ate yesterday. Since I get lots of questions here on this blog (and by email) about sport nutrition I thought it might serve as a good reference point for future discussion. I'm sure this will prompt some questions on the topic. So the followng is my nutrition log from Thursday, June 10. I don't know how many calories this was or the breakdown by nutrients (I never count calories), but expect someone may figure that out and let us know. The accompanying chart is a detailed summary of a road cyclist’s periodization leading to his first A-priority race of the season last Saturday (click to elarge). It shows the timeframe of October 5, 2009 through June 9, 2010. I’m not going to get into how the chart was generated from the power meter as that in itself would be an entire blog post. The bottom line here is that the athlete trains with a power meter and his daily data was uploaded into WKO+ software. The software generated the chart. If you’d like to see more such case studies and more on WKO+ see some of my previous blogs here, here, and here. To orient you on the chart, notice that the X axis represents the timeframe mentioned above. The Y axis, on the right side, shows average daily stress levels (“TSS/d”) which serves as a proxy for determining fitness and fatigue, which I’ll explain shortly. The Y axis on the left side is used to determine the athlete’s form status (“TSB”). The blue line on the chart is what is generally called fitness. In WKO+ talk it is “Chronic Training Load” (CTL). Essentially, this tells us how much of a training load the athlete can handle. The more he can handle the more fit he is. Notice the general rise with undulations in fitness over the course of the season. Our obvious purpose is to elevate fitness during this time. That was generally well done in this athlete’s case. The red line is fatigue, or “Acute Training Load” (ATL) in WKO+-speak. As the daily training load varies the athlete’s body responds by becoming more fatigued (red line rises) or more rested (red line falls). Notice that fatigue is much more sensitive than fitness. It changes a great deal from one day to the next while fitness remains rather constant with only slight changes from day to day. Also notice that when fatigue is rising fitness also is. That by itself is a good lesson in what it takes to produce fitness – enough training load to cause fatigue to increase. The black line is form, or “Training Stress Balance” (TSB) in WKO+ lingo. This tells you how race-ready the athlete is at any given point in the season. The black, dashed, horizontal line represents zero TSB. When form is above this line the athlete is “on form,” he is fresh and ready to race. When form is rising regardless of the zero balance point, the athlete is coming into form. The daily form data point is generated by subtracting fatigue that day from fitness that day. That makes sense since what you are trying to do in race preparation is to shed fatigue while maintaining fitness. The dashed, purple lines that run vertically through the chart show the points at which his periodization mesocycles changed. Those periods are listed across the top of the chart (Transition, Prep, Base, Build, Peak, Race). You can tell the exact date that each period starts and ends by noticing where each purple line intersects with dates on the X axis. Ok, now you should have an idea of what you are looking at in this chart. So let’s move on to the periodization of the athlete’s season and how he peaked for the A-priority race last Saturday. From the start of the Prep period until late in the Base period his fatigue was generally high as fitness rose. The “valleys” in fatigue show when he rested. Notice the big drop in fatigue with a corresponding rise in form late in the Base period (circled in brown). This is one of those times every athlete experiences at least once in a race build up. He had to do a lot of business travel and was unable to train regularly. The spotty training allowed him to rest up so fatigue dropped along with fitness (remember: they always trend the same direction) while form became highly positive. In fact, form reached the highest point of the entire season, which is generally not good when there isn’t a race. Following this travel his training got back on track and all three metrics began to behave again. This was the start of the Build period. During the Build period there is a steady rise in fatigue and fitness as form drops quite low. All of this indicates that training was generally progressing well. At the end of the Build period is another brown circle. This was week of R&R to shed fatigue and make sure he was fresh (“on-form”) and ready to start the Peak period with the final push to his first A-priority race of the season. For this athlete my goal for form is for him to be at about +20 TSB on race day. So I manage the daily workouts of this period closely watching form and adjusting the workload to keep him on track for that form goal (some day I’ll explain this in another post). Notice that in the Peak period there are only slight changes in fatigue and that fitness plateaus. This is because he is doing a hard, race-like workout every 72 hours with two days of recovery riding between them. So rest is increasing. When rest increases fatigue falls and fitness follows the same trend. Recall that fitness minus fatigue equals form. So form is trending up and down right around the zero balance line as hard workouts and two very easy days are alternated for two weeks. Finally, the Race period starts. This is the week of the race. But actually we extended his Race period by four days as he had a B-priority time trial the Wednesday after the road race. In Race week the training was cut back dramatically to allow for shedding of fatigue. You can see this happening with the fall of the red line. And since fitness always follows fatigue, notice that his fitness is dropping a little bit also. My goal here is prevent more than about 10% of drop in fitness at this time while getting rid of as much fatigue as possible. That was accomplished here by making the workouts short but including a decreasing amount of high intensity in each session as the week progressed. Remember that my goal was for him to be at about +20 TSB (on-form) on race day. He hit +19.7 that day and had an excellent race winning his category. Everything came together exactly as we wanted it. After a few days of rest (Transition period) he starts the build up for his next A-priority race in August. 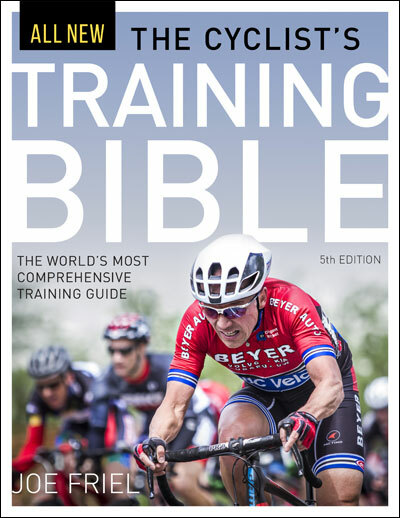 He is now returning to Base period training as described in my book, The Cyclist’s Training Bible. I hope to report the same sort of success in this next A race. The most critical time in your season is from three weeks to 12 weeks before an A-priority race. This is when your hard training is the most effective. Missed workouts now have a much greater impact on race performance than at any other time of the year. You must stay healthy and injury-free by whatever means possible. When training hard your immune system is under a great deal of stress and may not be able to fend off invaders. You must help it now more than at any time in the season. If you become sick now you will miss the most important workouts of your long build-up to the race. Go out of your way to avoid people who are sneezing, coughing or otherwise obviously sick. You’re likely to encounter them at work, school, parties, and in your family. Traveling to races or for any other reasons can be particularly risky. I often tell the athletes I coach that when in public places to keep left hands protected. If possible, keep it in a pocket. Use the right hand to come in contact with the world – door handles, counters, railings, shaking hands, papers, luggage and everything else. This will help to ensure that you have a fairly germ-free hand for touching your face and for personal hygiene. Wash your hands frequently when around people. Stay healthy. You must also avoid injury which would set you back and ruin your chances for a best-ever race. Stop a workout whenever something doesn’t feel right. This could be a slight twinge in a tendon or joint or even just a sense that you aren’t up to training on a given day. A day off or one missed workout is far better than missing a week or two while recuperating from an injury. Prevention is less costly than the cure. Do not train with niggling injuries. No matter how insignificant it may seem at the time, the first step is to always rest when something isn’t right. During this time do whatever training you can that doesn’t aggravate the tender spot. If with two days of rest the discomfort isn’t gone or at least considerably better then make an appointment to see a physical therapist, sports doctor, chiropractor or whatever form of medical care you prefer immediately. The bottom line here is that you must stay healthy and injury-free in the last few weeks before an A race.